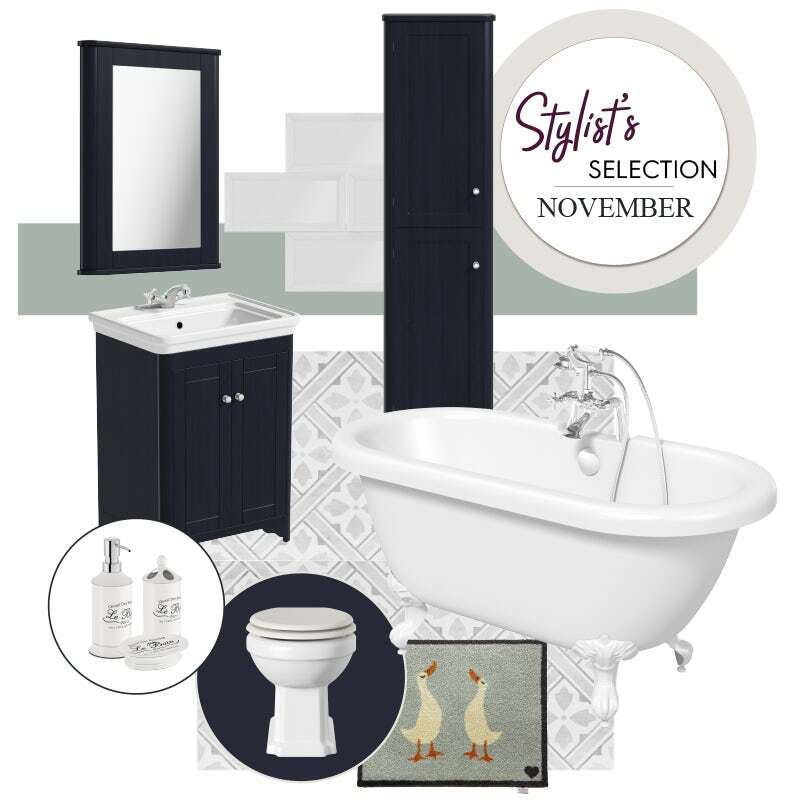 With Halloween and Bonfire Night behind us, why not get your bathroom ready in time for Christmas with my Stylist's Selection? This month, I’ve taken the opportunity to show off our new, bold, Beaumont Sapphire blue furniture range. 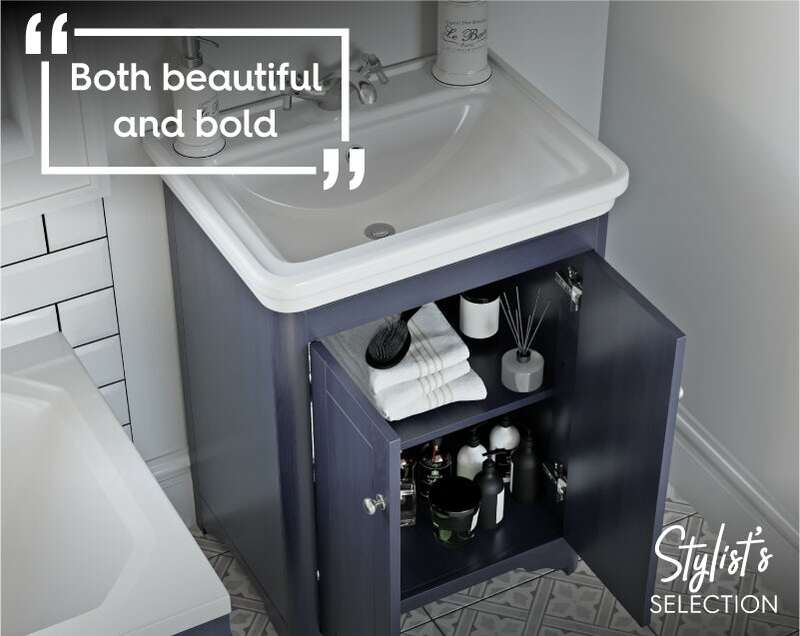 I think the furniture works perfectly with the rest of my selected products full of traditional elements and styling: perfect for a sophisticated and striking bathroom. ...The Bath Co. Beaumont sapphire blue vanity unit. I’ve been sat in suspense waiting for this furniture collection to launch, and it's finally here! With traditional styling in on-trend sapphire blue, it’s both beautiful and bold. The blue is soft enough, so it doesn't dominate your room, whilst rich enough to pull off the style. The range includes mirrors, storage cabinets, toilet seats and bath panels, so you can create a cohesive look with the minimum of effort. ...The Bath Co. Dulwich roll top bath with white claw feet. 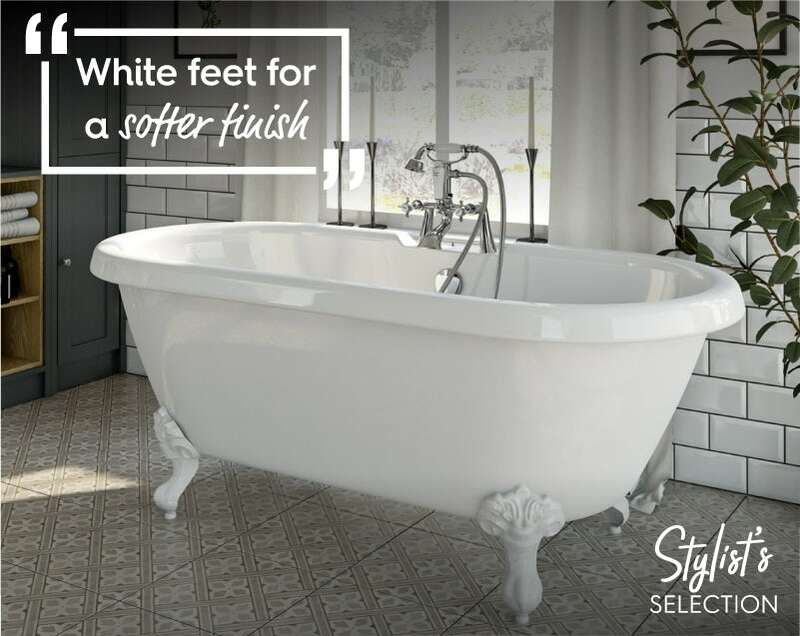 I love this bath as it’s a contemporary version of the typical roll top, featuring white feet for a softer finish. It also works in harmony with traditional style furniture providing the perfect period finish to my selection. ...[Laura Ashley heritage tiles in Mr Jones dove grey]. I wanted to add a little more pattern into this selection and I think these tiles are great for just that purpose. In a softer finish of grey, rather than black, they help complement the Sapphire blue of the furniture whilst adding a more charismatic edge. Patterned tiles are a great way to add character, especially if you don’t want to compromise on sleek bathroom furniture. ...[British Ceramic Metro Tiles in white]. Metro tiles have increased in popularity over the years and you can see why. They add a heritage look to your bathroom and give you the option of a few styles, depending on how you fit them. I’d suggest laying them in a traditional brickwork style to add to this traditional look. 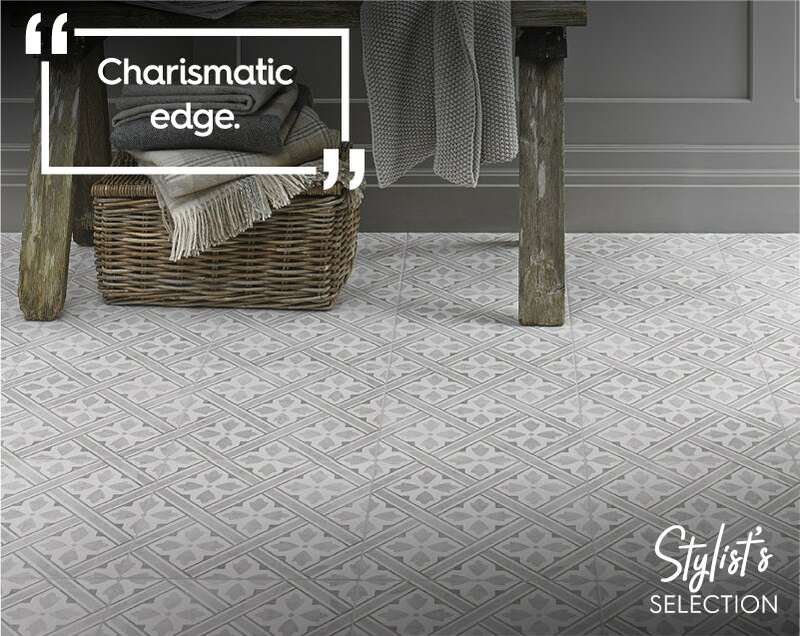 If you want a more contemporary feel, why not try [flat metro tiles] or even [large format metro tiles] instead? ...The Bath Co. Le bain range. This is a beautiful selection of classic white stoneware with a chic French touch. Featuring soap dishes, dispensers, toilet brushes and tumblers, you can easily accessorise your whole bathroom simultaneously. They will also work perfectly with the rest of my selection. 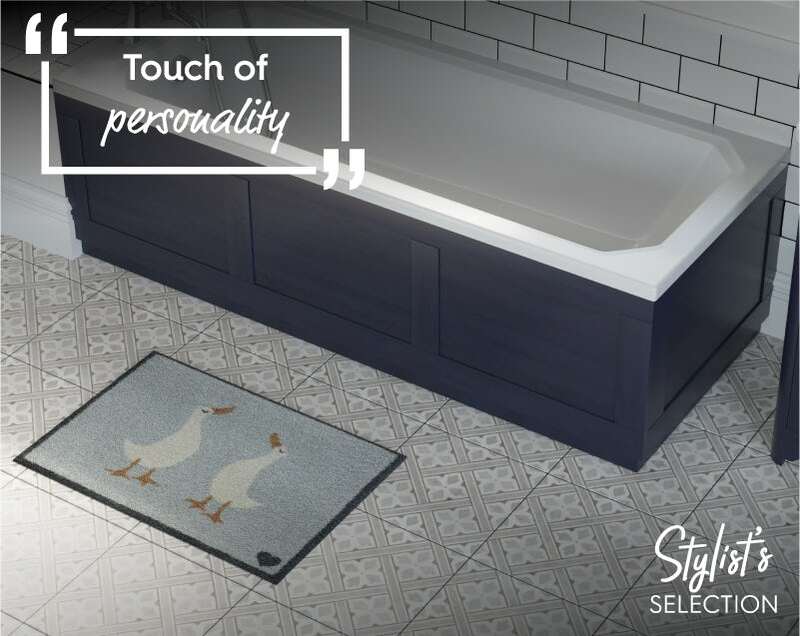 ...the Hug Rug ducklings bath mat. I think this bath mat is great! It adds that perfect touch of personality to your bathroom and also complements the colours of the other items beautifully. If you're looking to add more colour, paint an accent wall duck blue or even match with some light blue towels, to tie the whole look together. 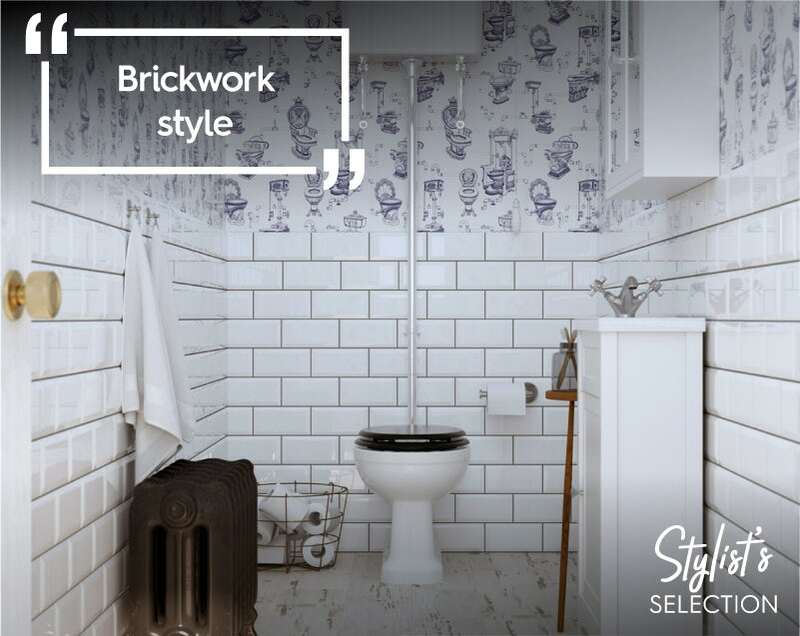 If you're searching for more great bathroom ideas, why not check out my latest Get the look style guide? I'll show you how the latest Scandinavian interior design trend Lagom can turn your bathroom into one that's perfect for your lifestyle.